Tired of Love? – He Said What?! 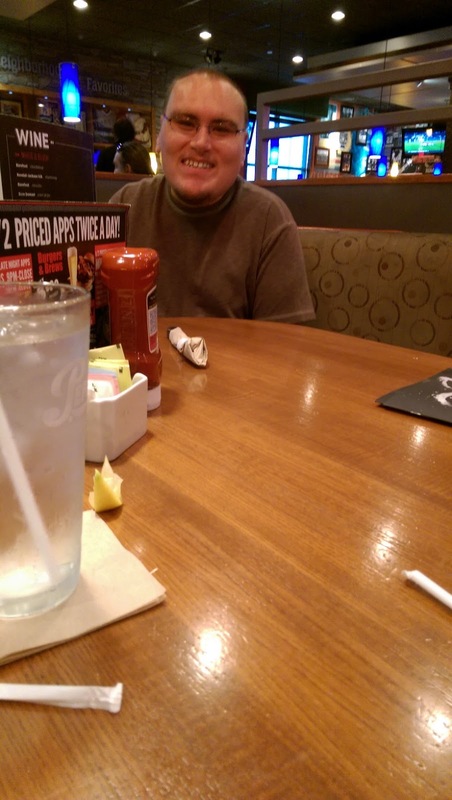 Some of you have been asking about how Aaron is doing. We don’t really know how his sodium levels are holding right now. We need to have more blood work done to find that out. He’s drinking less water than he used to drink, but probably still more than the doctor would want him to have. We’re just doing the best we can do there. Let’s just say that he does NOT take kindly to having his fluids restricted. Some days and moments are harder than others. Much of it depends on his mood. Much of everything depends on his mood, actually. One day his friend at Paradigm gave Aaron some food. I was a little leery of this idea, so I told Aaron that he probably shouldn’t be eating food offered to him like that. “You’re saying I can’t have WATER, and now you’re saying I can’t have – like – FOOD? !” he exclaimed. He lives a tough life, let me tell you. A very tough life. Aaron loves listening to CDs when we drive to his day group, unless he’s having a grouchy day. Then he punishes me by saying he doesn’t want to listen to any music. Anyway, we had listened to an instrumental CD and I guess it wasn’t his favorite. The next day he said, “Will you get a CD where they’re singing in WORDS?” Ok, ok. So we I picked out an Olivia Newton John CD, one where she’s singing her old songs. Aaron listened quietly. “Is that OK?” I asked. I did laugh out loud at that one. Come on, Aaron. We never get tired of love! So to finish this, I’ll just show you some pictures of Aaron and of how he loves, and IS loved, every day. And of how he’s funny, too! 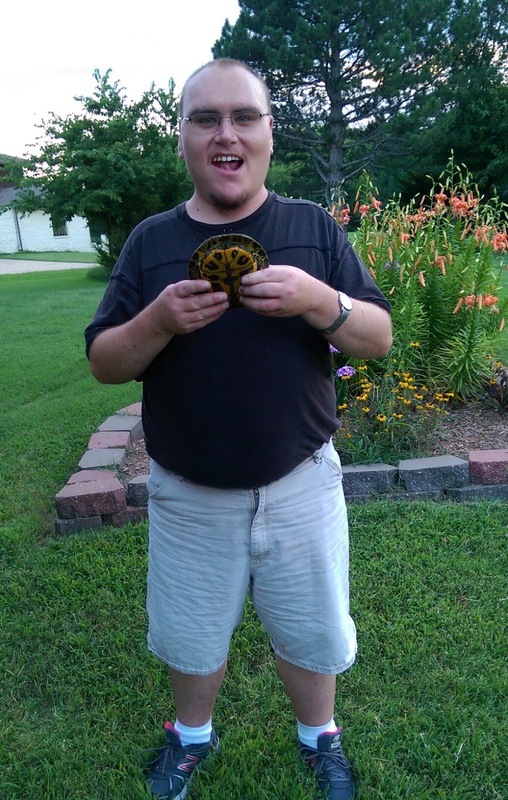 He found a turtle down in the grass in our back yard, so Gary helped him turn it loose in the lake behind our house. Aaron was so happy with that turtle and didn’t want to give him up, but he was happy to know that the turtle was very happy to finally go to his home. 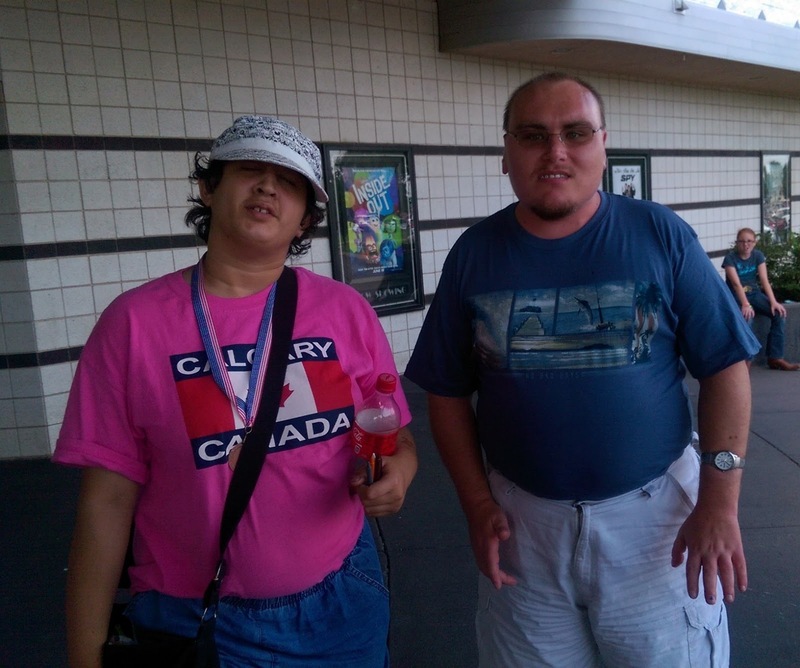 We went to see The Minions with Rosa and her mom, Louise. Rosa asked her mom if she could go to a movie with Aaron, which was so sweet. And the loudest I heard Rosa laugh was when they were walking out through the lobby and Rosa took a drink of her Diet Coke. Aaron loudly said, “Is that BEER??! !” And they laughed and laughed, while Aaron rubbed his hands together. Aaron went with me to get dog food at the vet. 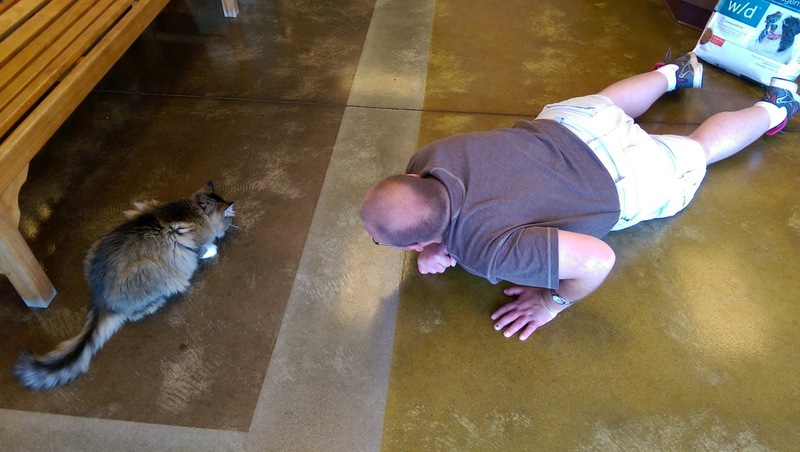 Aaron loves getting to see the resident cat, Kato. Patient, patient Kato. 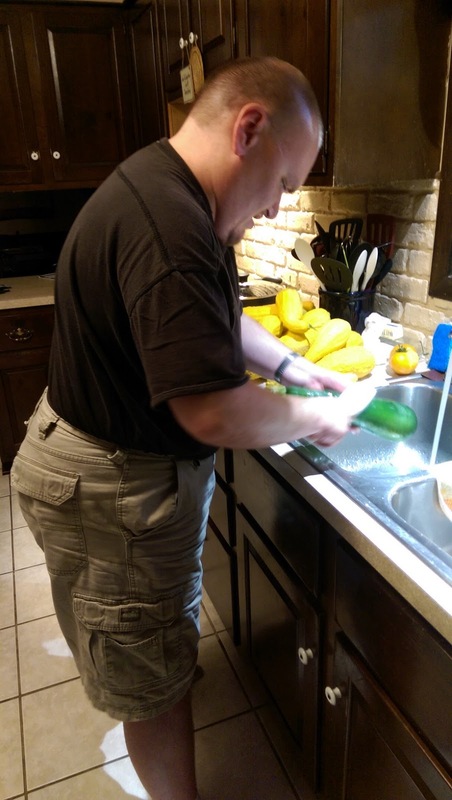 Aaron has offered to help me clean garden veggies several times. 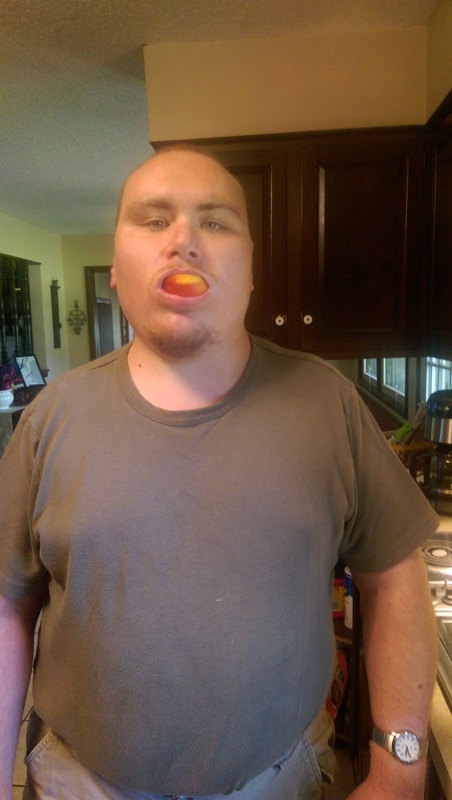 And he thinks it’s so funny to always do this at least once when he eats a peach. 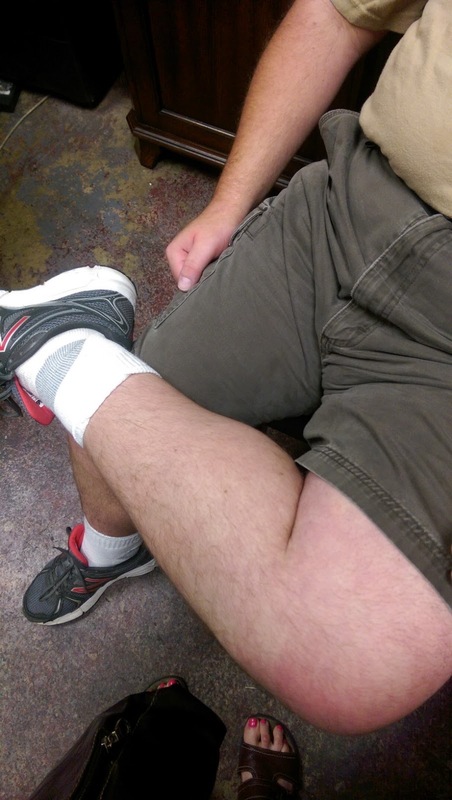 I think it’s funny that he often wears his socks with the heel part on top, no matter how many times I tell him that the gray part belongs on his heel. He totally doesn’t care. 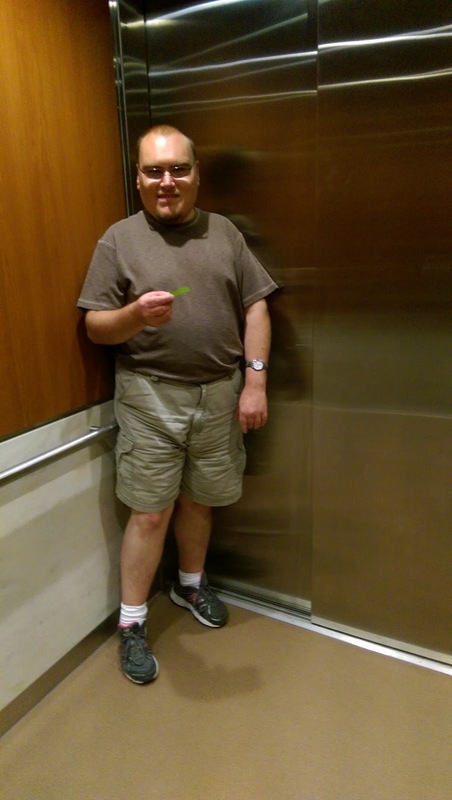 He does care about testing plants when we go into different buildings. He showed me this piece of a leaf after we left the doctor’s office. He now knows that his test proved that the plant is real. Sigh. We have eaten out several times on doctor visit days, which is really why Aaron goes with me on doctor visit days. He doesn’t care at all about seeing the doctor. It’s his restaurant of choice that fills his thoughts. Aaron thought it was funny to be in a huge booth, far apart. 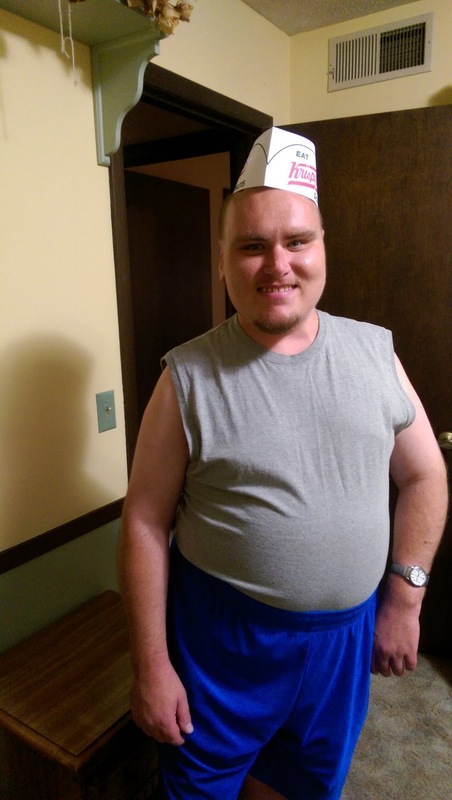 One of his friends gave him a Krispie Kreme hat, so Aaron proudly wore it for a short time. Hats are not his favorite. Neither are donuts. Can you believe that? Life with Aaron is never dull. And he’s always loved, even when he’s tired of love. And when he’s not always easy to love. That happens, too. I have a picture of his broken watch, but that will be for another time. Today we sing about love.